London’s first floating park has just been approved… and it comes with WiFi! Ooh, now here’s something we can fully support! Whilst The Garden Bridge is still a sore subject, and quite a few years away there’s going to be a new floating garden… and it makes a bit more sense. 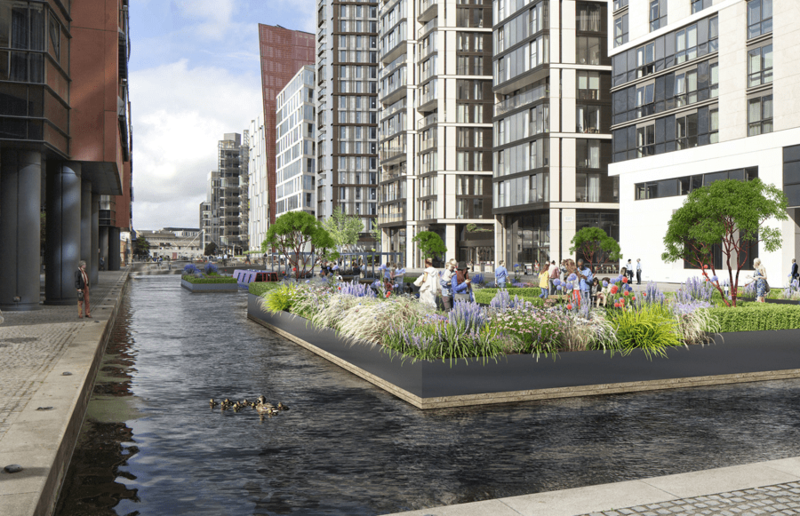 Westminster council have approved the city’s first 730-square-metre floating public park with the new space bobbing above Grand Union Canal in Paddington Basin. The new space is set to open in the spring and will feature open lawns, Tibetan cherry trees, densely planted raised borders, communal seating, and a series of decked platforms and walkways over the water. Garden designer Tony Woods has divided the park into three sections including an events and installations venue complete with pergola and a ‘no humans’ zone for wildfowl. The whole space is constructed from interlocking pontoons made from recycled materials, too. So… you’re basically helping the environment by supporting it! There will also be canal boat mooring for boat-based traders selling food and drinks, so you can make a day of it in the summer! Once launched, it will be open all year round until dusk, with flora to complement all seasons including stem colour in autumn, scented winter flowers and spring bulbs. Oh, and if that wasn’t enough they’ll be free WiFi access throughout, programmable water and a light maze. 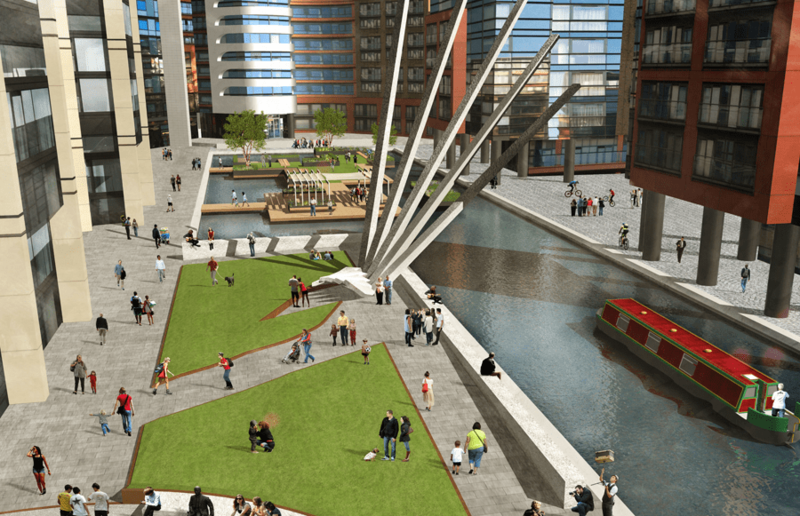 The ‘London Floating Pocket Park’ will be opened in May as part of the Chelsea Fringe.